LONDON, 2 February, 2015 ? Solar power is on course to overtake nuclear as a primary source of electricity production as the price of photovoltaic (PV) panels continues to fall. The African continent, which has the most potential to benefit from solar power, has been slow to adopt the technology, but is now embracing its possibilities. While investment in small domestic installation continues, there has been a big increase in utilities creating large solar farms. These are the main trends outlined in a detailed PV Status Report for 2014, released by the European Union. The report, which assesses the state of the world market and its growth in individual countries, says that despite the fact that subsidies for fossil fuels still massively exceed those for renewable, it is wind and solar power industries that will continue to grow and the price will come down. Developments in renewables continue to be encouraging, particularly electricity storage from solar. Using ion-lithium batteries, new technologies are being deployed to store surplus electricity generated during daylight hours, for use during evening peak periods. On a domestic level, this makes economic sense because the cost of generating electricity at home with solar panels is now cheaper than buying it from the grid in many countries. Being able to store your own power for use at night will save money, as well as reducing peaks in national demand. On a larger scale, the report gives examples of wind and solar generation power stations combined with battery storage, which are being tried successfully in China. Solar is now the renewable of choice, overtaking wind. In 2013, solar energy attracted 53.3 % of all new renewable energy investments, a staggering $111.4 billion (€82.5 billion). While the report gives detailed figures for individual countries only for 2013, it says that the growth of the industry continued in 2014, although it varied depending on the policies of individual governments. In 2013, the leading country in renewable energy investment was China at $54.2bn (€40.2bn), followed by the US at $36.7bn (€27.2bn) and Japan at $28.6bn (€21.2bn). The growth in Japan and other parts of Asia is partly spurred by the nuclear accident at Fukushima in March 2011, which made the safe and reliable option of solar more attractive. In Europe, the pace of investment fell, with the UK being the only EU country where it increased. Investments in 2013 were used for installing 87 gigawatts (GW) of new clean energy generation capacity, bringing the total to 735 GW, and thus capable of producing more than 1700 terawatt hours (TWh) of electricity ? or 70 % of the electricity generated by nuclear power plants worldwide. But according to the latest study, solar PV electricity is now the cheapest electricity option for more than one-third of the African population. 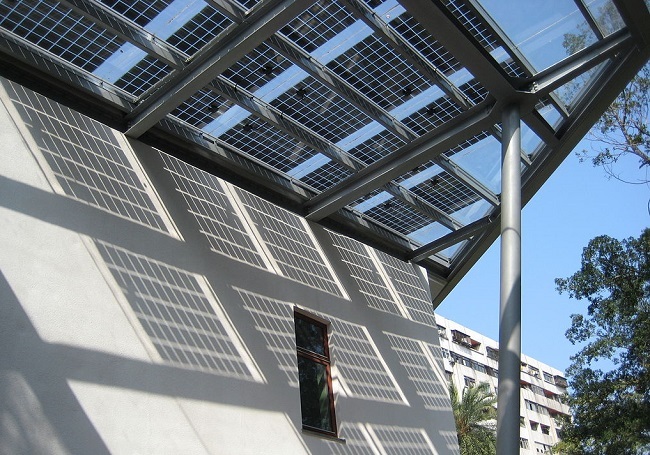 Until recently, the main application of PV systems in Africa was in small solar home systems. Since 2012, however, major policy changes have occurred, and a large number of utility-scale PV projects are now in the planning stage. Overall, the (documented) capacity of installed PV systems in Africa had risen to more than 600 MW by the end of 2013 ? a tenfold increase compared with 2008. In 2014, the installed capacity is expected to more than double.